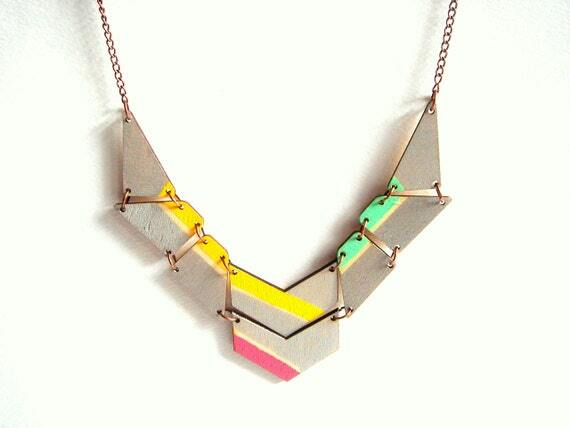 I am really digging Geometric Jewelry lately. I tend to wear one piece of jewelry at a time and like statement pieces. I love wearing really simple clothes with bold jewelry. It says “I tried…at least a little”. I have seen some really interesting geometric jewelry lately and wanted to share some of my favorites with you. This kaleidoscope bracelet by designer, Hannah Davis is freaking awesome. 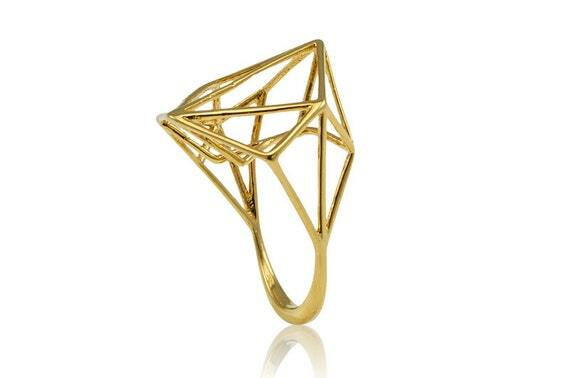 This is a really pretty and interesting geometric ring by Osnat Har Noy. 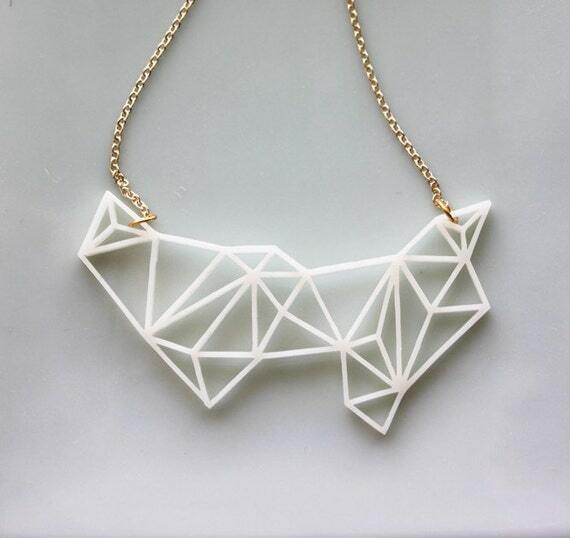 This is a super cool geometric necklace by iluxo. Who wouldn’t want these metallic geo earrings. 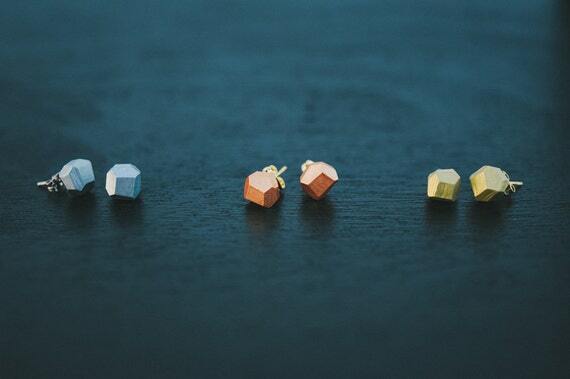 You could wear these earrings everyday, with anything. Here is my DIY Hexagon Necklace. I had to get into the geometric jewelry action too. 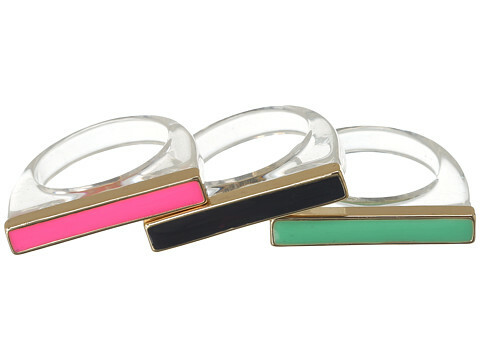 If you are feeling “fancy”, check out these Kate Spade rings. Men can rock geometric jewelery too. 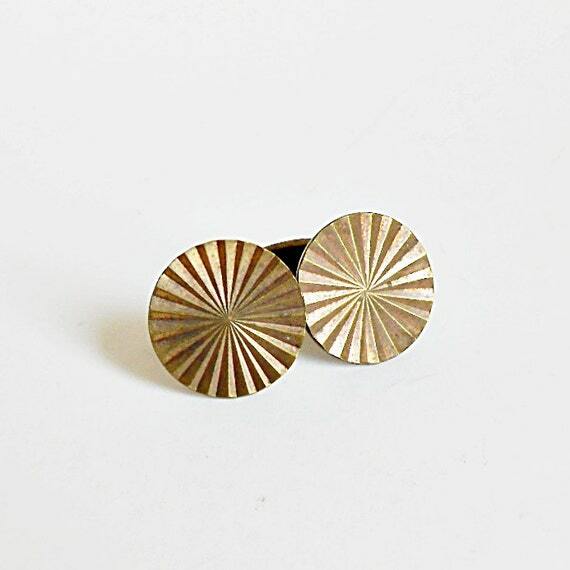 I love these vintage cufflinks from Biby Vintage. The next time you treat yourself to an accessory, add some geometry to your flair.